Weekend lunches are always special, if it's rice, then it'll be some kind of pilaf or briyani, or some special curry or side dish that usually takes a little more work. If it's not rice, then it's some kind of parathas, I prefer these very much, for one reason, since the parathas themselves have a nice filling, the side dish can be very simple, sometimes just plain curd and pickle. The other reason being, I need not worry about my daughter eating her vegetables, the parathas have them already, and she likes them this way. 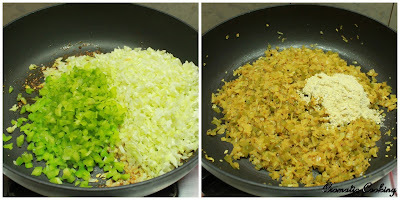 For this Capsicum And Cabbage Parathas, I have sauteed both the vegetables together, and I have used roasted chana dal powder to bind them, at the same time, adding some protein to the dish. 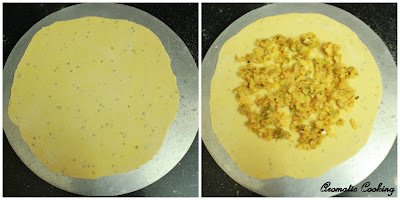 I have rolled out the parathas a little differently, they tasted good with just plain curd and pickle or even with Tomato Thokku..
Make a soft dough with all the ingredients given under 'for the dough' along with some water, apply some oil and leave it to rest for half an hour, in the meantime, we can make the stuffing. Powder all the ingredients given under 'make a powder'. Heat some oil, add the mustard seeds, when it starts spluttering, reduce the heat and add the turmeric, chilly and coriander powders, along with the asafoetida, mix for a few seconds. Then immediately add the capsicum and cabbage pieces, and saute till they get cooked well, for like about 5 to 7 minutes. At this stage, add the powder and mix for another minute, remove and cool. 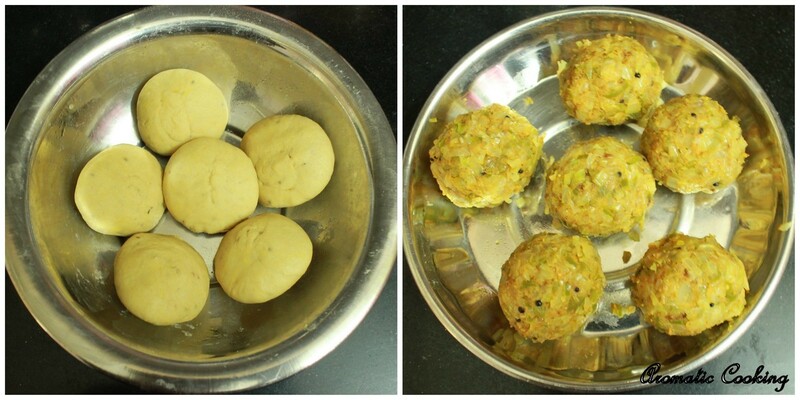 Divide the dough into 6 parts, also make six parts of the filling, you might have some filling left. Dusting some flour, roll out one ball into a disc ( about 6 to 7 inches in diameter). Spread the filling in the center. Now start folding as shown, bring two opposite edges together, one overlapping the other, press slightly. Now fold the other two sides, so that you form a rectangular pocket. Now dust some flour, and roll very lightly, as much as you can without the filling coming out. 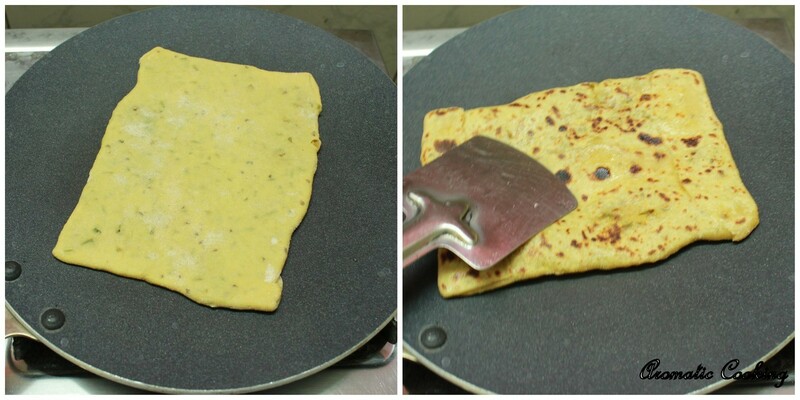 Heat a skillet, place a rolled paratha, cook on both sides, applying some oil, remove and serve warm. 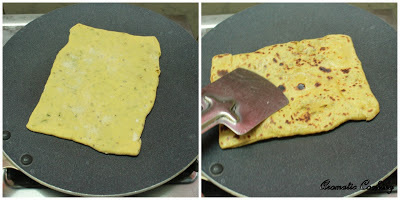 While cooking the paratha, don't flip it too many times, only thrice, flip once, apply oil, flip the second time, apply oil on the other side, while the first side gets cooked, then flip the last time and cook the other side. Though there is 4 cups of vegetables totally, they shrink when they are sauteed, make sure the vegetables are done but not over cooked. Roasted chana dal is available in all Indian grocery stores. These filled flatbreads are so delicious! Very tasty looking flatbread! Loved the flavours too! Unique stuffing..loved the shape of the paratha! wow... wonderful idea of using chana dal... delicious!! I too add roasted channa dal powder to most of the stuffings, enhances the taste...Love the way you've rolled out the parathas.. 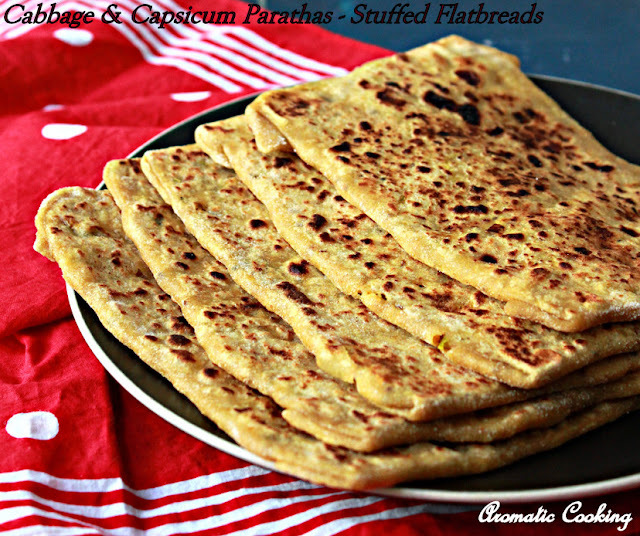 Delicious parathas! !adding channa dal powder is a nice idea, gives it more flavor..
You managed to roll the rotis very well ! Nice filling. Love the way you rolled ur parathas, lovely and flavourful stuffing too. Hey! How much water should I put into the dough? unique combo hema :) nice presentation.. 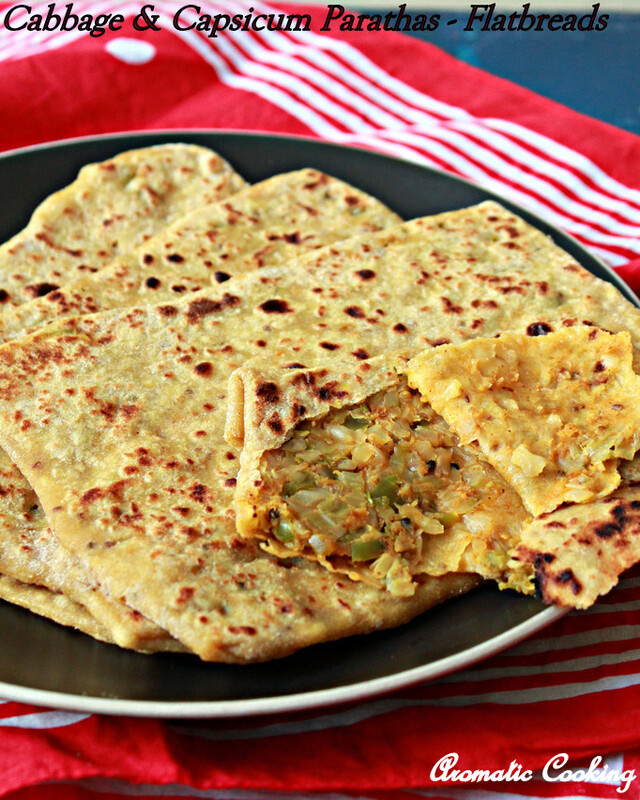 I am guessing I can also make this with the brussels sprouts...i love hte aroma of brussel sprouts and it can make an amazing filling inside a parantha! Delicious paratha Hema,I like your pocket shaped Paratha. nice combo and looks delicious..
We'll give them a go! Well explained along with nice photos. Thanks for sharing! !